Why not just call 1-800-DIVORCE? You’ll never forget the phone number! All divorce is local. Keep it that way. Your legal and economic rights will be protected best by a local divorce lawyer who has local licensing, local qualifications and local knowledge. Find a divorce lawyer near me. Your divorce is local. Keep it that way. Your 1-800-DIVORCE lawyer knows your local courts and judges and their unique policies and practices. An online divorce provider will likely be located far away and will be clueless about your state’s laws and your local Rules of Court. Online divorce providers claim to know how to handle divorces in all 3000+ counties in the US – an impossibility. You can make an appointment to see your local 1-800-DIVORCE lawyer if the need arises. If you hire an online divorce provider, it will be the blind leading the blind. And when things go wrong, which they will, you will never get face time with that online provider and you will rarely be able to reach them on the phone or by email. Find a local divorce lawyer. Divorce is tough enough already! Don’t go it alone. Find a divorce lawyer near me. Your local 1-800-DIVORCE lawyer is highly educated and trained in the law and is professionally licensed by your state. S/he is required to maintain a professional and confidential relationship with you. S/he is required to handle your case with the highest ethical standards. S/he is required to take continuing legal education and professional responsibility courses. Online divorce providers are NOT staffed by lawyers. They are not licensed or bonded. They get on-the-job training only! You will have no effective recourse should you be treated dishonestly or incompetently by an online provider. Search for “online divorce problems” and you will have plenty to read. Many online providers are truly terrible. A few are downright fraudulent. If you get caught with a bad one, you will need a lawyer, and much more money, just to get your case sorted. Don’t take that risk when a local solution exists at a similar cost. Find a local divorce lawyer. Find a divorce lawyer near me. While all 1-800-DIVORCE law firms are independently owned and operated, most 1-800-DIVORCE lawyers are trained and skilled not only in drafting divorce pleadings, including emergency orders, disclosure laws, negotiation of settlements and trial work but also in mediation or collaborative law – should your case be suitable for those methods. Online divorce providers only provide the most basic divorce papers. For you to obtain any additional services through an online divorce provider, they would have to make a cold referral to someone in your area. Why not start off with a local professional, such as your local 1-800-DIVORCE lawyer, who will already know the facts and issues of your case if additional services become necessary? 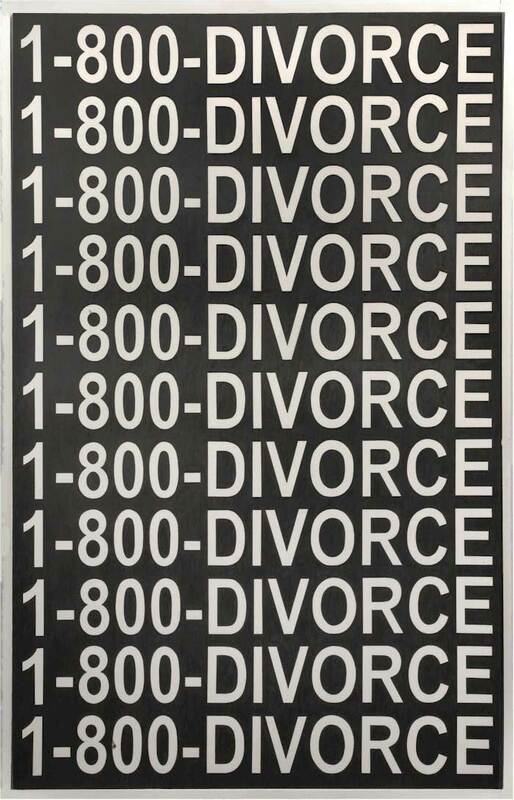 Use 1-800-DIVORCE to find a divorce lawyer near me. Many 1-800-DIVORCE law firms offer unbundled services. That means you do not retain the lawyer in the traditional sense to handle every single aspect of your case, such as filing the case at court or serving the case on your spouse. Traditional legal representation can easily cost $800-$1500 – even for an uncontested case. It is NOT cost-effective because you are paying a lawyer to perform simple actions that you can do for yourself just as effectively. In an unbundled representation (sometimes called, “limited scope representation”), you use the lawyer only where you need him or her: for document preparation and/or review, for a legal rights checkup and/or an occasional email or phone call, when necessary, to clarify a point or two. This is a much smarter and more cost-effective approach. And you still have all of the benefits of a professional relationship with the lawyer. And of course, full traditional representation is available should you prefer it at any time. Whether unbundled or not, it is always a good starting point to use 1-800-DIVORCE to find a divorce lawyer near me. Most 1-800-DIVORCE lawyers are experienced and skilled in the cost-effective methods of virtual law practice and the provision of legal services using ever-advancing technology. The delivery of legal services online is standard – with technologies such as video-conferencing, cost-effective digital marketing and the use of specialized software to track cases and crunch the huge amounts of financial data and paperwork involved in modern divorce and family law cases. As a result, the lawyer’s work-product and response times are far better than in traditional representation. Your local 1-800-DIVORCE lawyer is NOT your grandmother’s divorce lawyer! Forget EVERYTHING you thought you knew about hiring a divorce lawyer. Most nationwide online divorce providers charge you $300 just to prepare the most basic state divorce papers. They don’t prepare your local county docs. The largest online provider does not even offer a Marital Settlement/Termination Agreement – the most important document in your case. $300 is a remarkably high fee for what little is provided. For $300, you also get no legal advice. No one looks at your case professionally or from the perspective of your own personal interests. No one assesses your future legal and financial positions consequent upon your divorce. No one advises you of your rights during your case in order to protect and ensure your future or that of any children. With an online provider, you are essentially on your own, paying $300 for a very few prepared docs. Again, all 1-800-DIVORCE law firms are independently owned and operated. However, most 1-800-DIVORCE law firms offer free consultations – often on 1-800-DIVORCE – always a good first step to explore your rights and the likely outcome of your case. Most 1-800-DIVORCE law firms employ some combination of today’s two major family law practice trends: (1) virtual law practice; and (2) un-bundled services tailored to the facts of your case. The result is that your local 1-800-DIVORCE lawyer can often offer you a professional, licensed, efficient uncontested divorce service in the range of $400-500, depending on the facts of your case. This is a far more valuable offer than any unlicensed unregulated document seller can provide.